John C Mozingo Jr | Mozingo Real Estate specializes in real estate on the Gulf Coast in Gulfport, Biloxi, Pass Christian and Ocean Springs. If you are looking to buy or sell a home, please call us at (228) 896-3400. 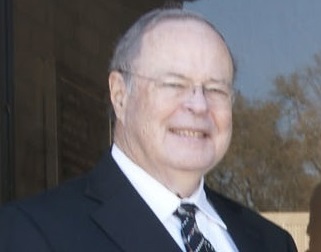 John, the Owner / President of Mozingo Real Estate & Auction, Inc., started his real estate career in 1971 with one of the Gulf Coast’s leading firms where he was Top Salesman for 5 consecutive years. In 1976, he founded Mozingo Real Estate, Inc. which later became Mozingo Real Estate & Auction, Inc. in the mid-1980’s when the company added real estate auctions to its services. He has served on numerous local, regional and national boards. He attended Missouri Auction School in the mid-1980’s and has obtained the Certified Auctioneer’s Institute designation and the Accredited Auctioneer of Real Estate designation. He was the first Mississippi Auctioneer to obtain the CAI & AARE designations. He has over 5,000 transactions to his name and is a well-established in the local real estate community as both a Realtor and an Auctioneer. During his long and successful career, he has sold property in more than 75 Mississippi counties.